Fr John is a cradle Episcopalian, living all his life within the Diocese of Albany. His home church growing up was St James’ Lake Delaware in Delhi, NY. In 2010, feeling called by God to ordained ministry, Fr. John began diaconal training; three years later (May of 2014) he was ordained to the Sacred Order of the Diaconate. 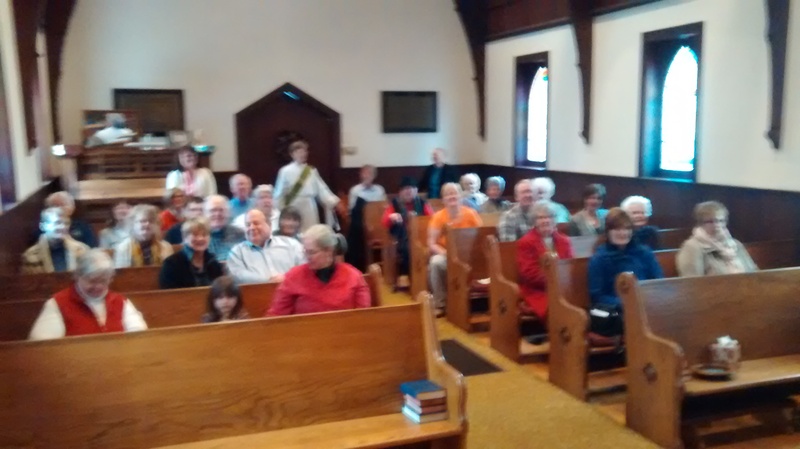 He continued to serve in his current parish of Christ Church, Ballston Spa for a short time following ordination until Bishop Love called him to assist in the Adirondack Mission Churches while they searched for a new rector following the retirement of Fr Robert Limpert, who had been with them for many years. Deacon John and his wife Nancy fell in love with the Adirondacks and evidently the feeling was mutual with the parishioners of the five churches. In 2015 John was named Deacon in Charge of the Mission. Such a huge undertaking (managing 5 churches) necessitated his retirement from a long and successful secular career as the purchasing agent for Quad Graphics Company, alongside his new responsibilities, then “Deacon” John also began a major course of study, (Reading for Holy Orders) under the rigorous direction of the Diocese’s Canon Theologian, The Venerable Dr. Christopher Brown. Three other classmates joined with him in this study, including our now Priest Associate Mother Nancy Goff. Fr John was ordained to the Sacred Order of Priests in October of 2017 and instituted as Priest-in-Charge of the Adirondack Mission Churches in July of 2018. He currently serves as a member of Diocesan Council for the Southern Adirondack Deanery and is a leader in the Cursillo Ministry of the Diocese. He is also a member of the Chestertown/Pottersville clergy association, which brings together several of the denominations of the area for ecumenical projects and services. When not at church Fr. John and his wife Nancy enjoy walking, kayaking, and lots of reading. They have two grown sons, Zachary and Michael. Mtr. Nancy Goff, also a “cradle Episcopalian” hails from the Maryland suburbs of Washington, DC until 2003 when she migrated to Glens Falls. She quips, “thought I’d be a nurse when I grew up, but seems God had other plans” which led her into ministry as an interfaith hospital chaplain in Alexandria, VA and later assigned by Bishop Love as Episcopal Chaplain in Mission to Glens Falls Hospital, where she is now employed as Coordinator of Pastoral Care. 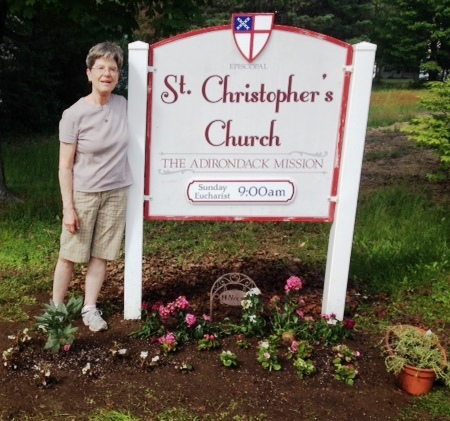 After arriving in NY, she became an active member of The Church of the Messiah in Glens Falls, sharing in both lay and ordained ministry, preaching and leading worship on occasion, participating in the Sunday evening service, led a cooking team preparing/serving the Sunday evening Fellowship Dinner, trained and supervised both the Acolytes and Visiting Lay Eucharistic Ministers. In 2005, she entered the Diocesan Formation program and was ordained to the Sacred Order of the Diaconate on May 10, 2008. Like Fr. John, Bishop Love asked Dcn. Nancy to participate in providing services in the Adirondack Mission during their search process. Because it was impossible for one person to cover the worship, pastoral and administrative responsibilities of the 5 churches comprising the Mission, in August 2015, Bishop Love transferred Dcn. Nancy from Messiah to partner with Fr. John in the Mission while continuing in her role at the Hospital. After ten years as a Deacon, like Fr. John, she entered into Study for Orders, successfully completed canonical exams and was ordained to the Sacred Order of Priests on November 18, 2017. Mtr. Nancy enjoys knitting, reading, riding her bicycle and derives her greatest joy in being “granny” to the 6 most wonderful grandchildren in the world! 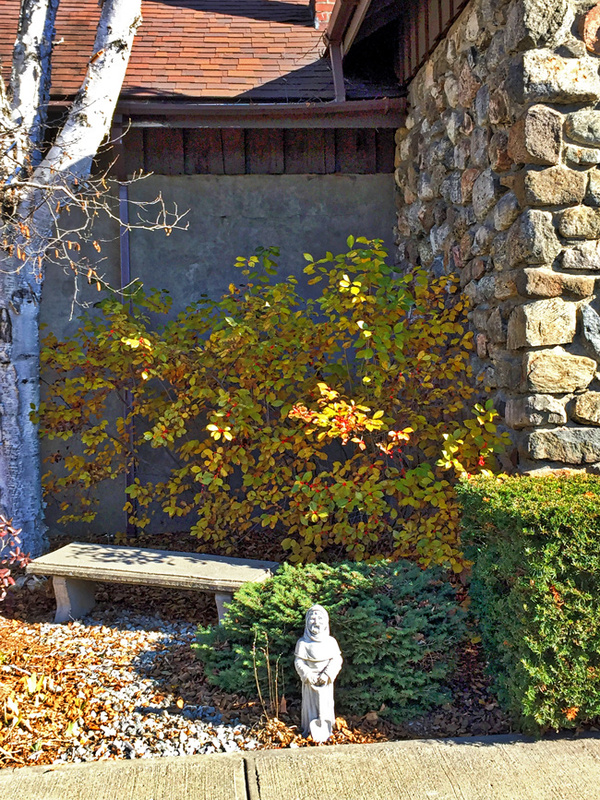 The Vestry in the Adirondack Mission is an elected group of lay leaders who oversee the various ministries of the church, its financial well-being, as well as make decisions on property maintenance. We try to have representatives from each of the five churches on the vestry; each is for a three-year term. Feel free to speak with any vestry member or either of our wardens any time if you have questions! 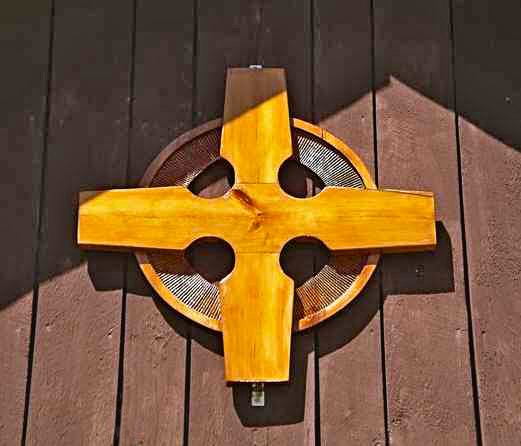 The Adirondack Mission is made up of five yoked parishes within the Episcopal Diocese of Albany and a member of The Episcopal Church and the Worldwide Anglican Communion, tracing its roots back to the Church of England and beyond to the early church and the apostles themselves – making it part of the one holy catholic and apostolic church of Christ. Please see our history tab for more information on our beginnings. 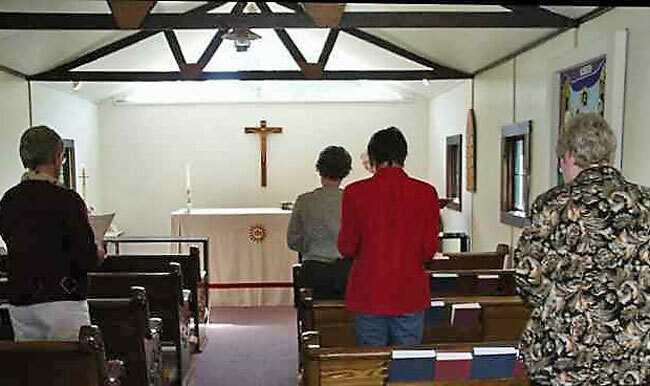 We are a liturgical church with both men and women clergy, including those who are married. Additionally, many lay persons are involved in the ministry of our parishes. 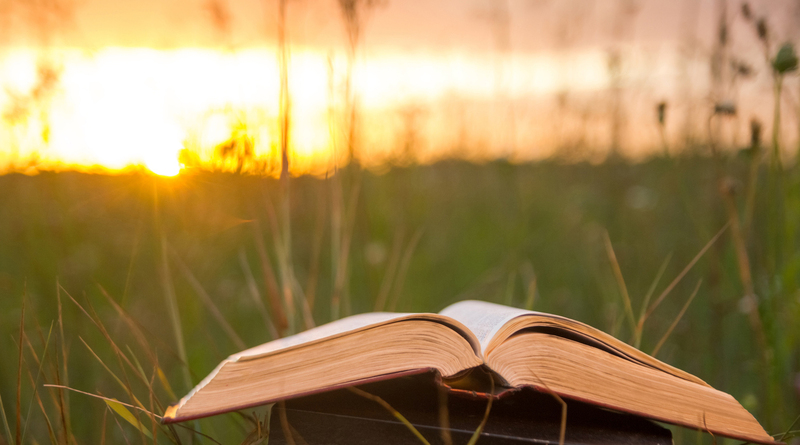 Our teachings are based on the Holy Bible; our worship (liturgies) and many prayers come in large part from The Book of Common Prayer. All persons are welcome and encouraged to come and share with us. 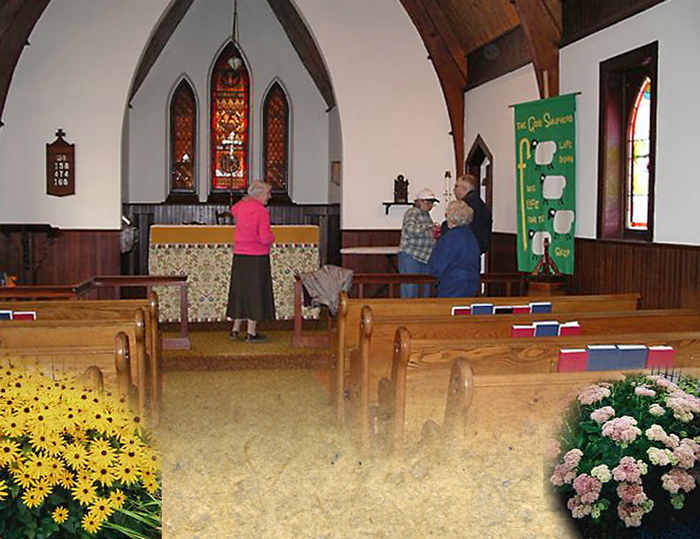 The Adirondack Mission is a parish made up of five churches. 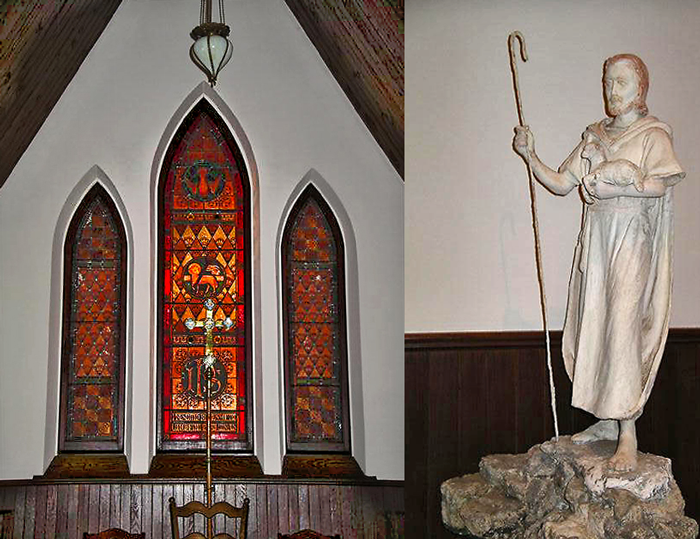 The church buildings came into existence beginning in the mid 1800’s just as the unwieldy Diocese of New York was in the midst of being divided. The Diocese of Albany consecrated its first Bishop, The Rt. Reverend William Croswell Doane on the Feast of Purification, February 2, 1869. 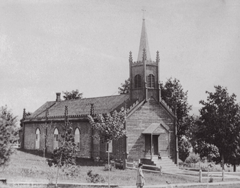 The Church of the Good Shephard in Chestertown was organized shortly thereafter in 1876 with the church built in 1880. 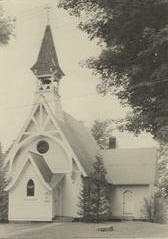 St. Paul’s, Brant Lake began holding services in the mid-1880’s, led by The Rev. Alfred Taylor, Priest-in-Charge of Good Shephard; their church was built in 1890. 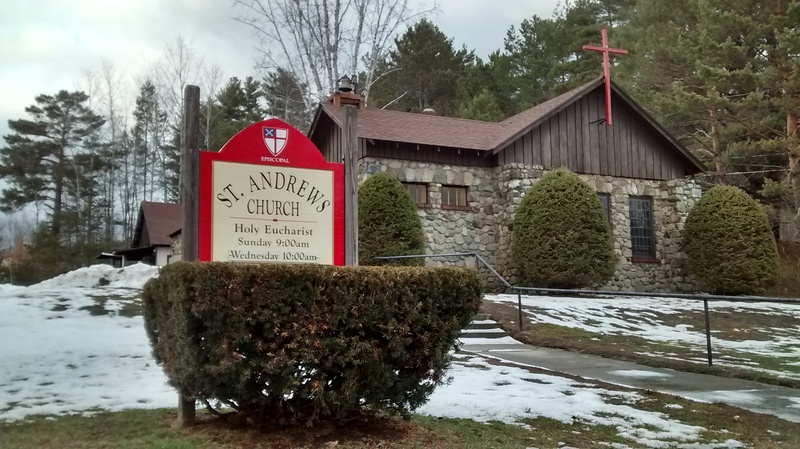 St. Andrew’s, Schroon Lake, originally sat on the site of the Leland House overlooking the lake. The church was lost to fire when the Leland House burned. 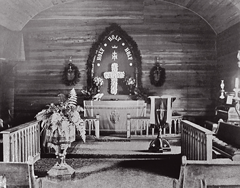 The church reopened on its present site in a roofed cellar in 1938. 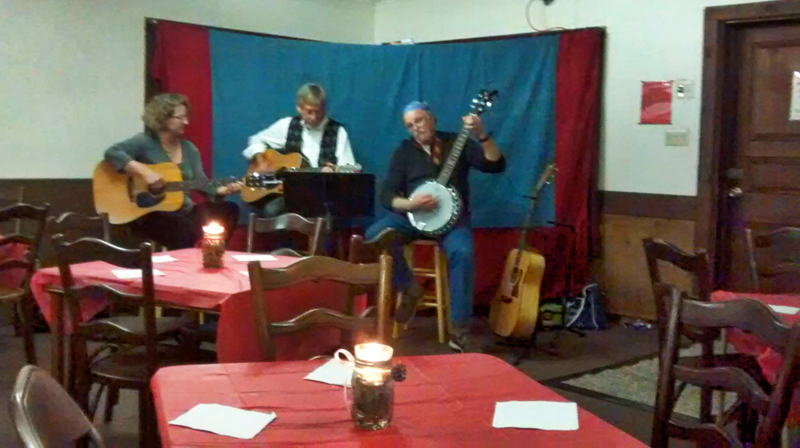 The congregation of St. Christopher’s, North Creek began meeting in the local firehouse. 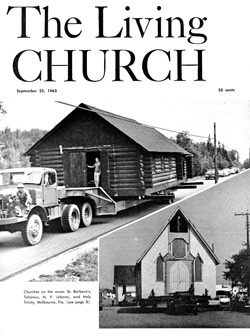 In 1949 the congregation purchased two pre-fabricated garages, which arrived by rail car and were constructed into the church building. St. Barbara’s, Newcomb is a log building, originally built in Tahawus, New York, and was donated by The National Lead Company. 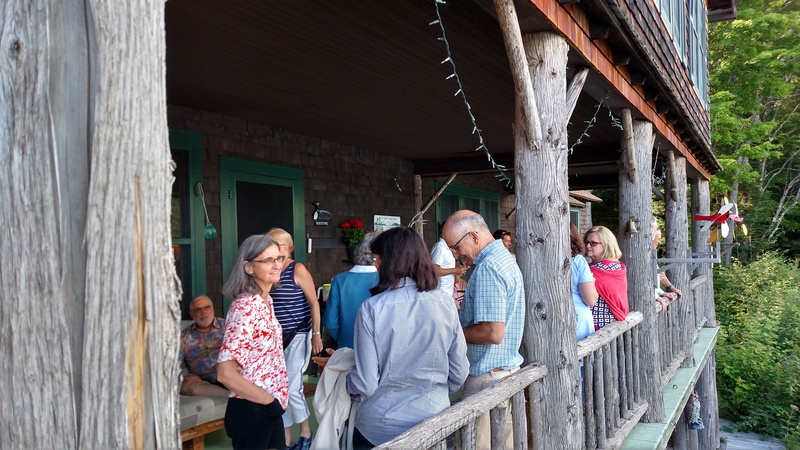 The cabin was moved 10 miles away on the back of a truck, along with many other buildings from that town to Newcomb in 1963 when the Federal Government started mining Titanium in Tahawus. 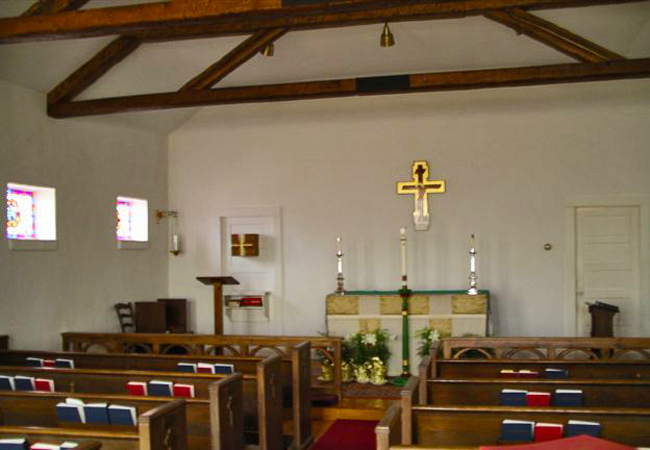 For several years, Christ Church, Pottersville, originally built in 1848, was also a member of the Mission. Until 1959 these churches remained independent, although often shared clergy. 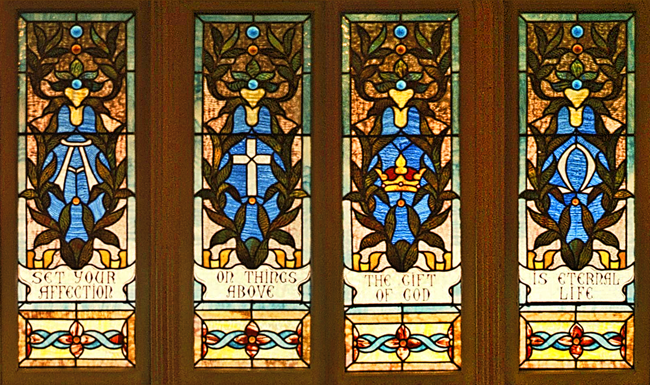 In the mid 1950’s Bishop Barry, the fourth Bishop of Albany, decided that the way to keep these churches open was to have a planned use of shared clergy, living and praying together at Barry House, a beautiful property on the eastern shore of Brant Lake, a gift of the Judge Irwin Untermeyer family, which would become the retreat and conference center for the Diocese, taking the place of the Eagle Lake property near Ticonderoga. It would also serve as the headquarters for the then six mission churches. Three priests with a caretaking couple took up residence in the summer of 1959. The Rev. D. Delos Wampler came to the Adirondack Mission along with Rev. Canon Edward T.H. Williams to begin this shared ministry. Margaret and Allen Girvin, with sons David and Steven, joined them as caretakers. 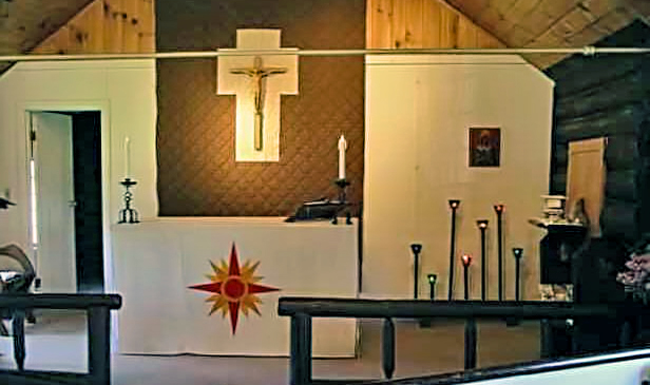 The Adirondack Mission shared clergy, programs, and resources, with Barry House serving as its combined parish hall. In 2003 Barry House was closed but The Rev. Robert Limpert continued serving the Mission for more than a decade with the assistance of part time clergy. The Mission is currently led by The Rev. John Cairns as Priest-in-Charge and The Rev. Nancy Goff as Priest Associate.